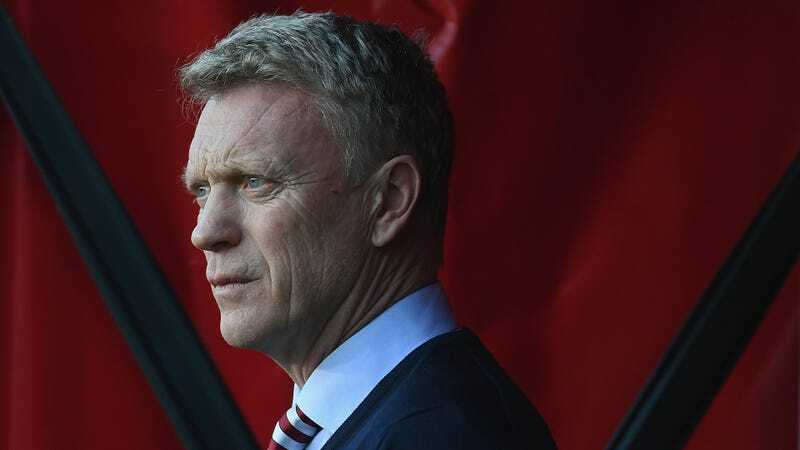 It’s hard not to look at the picture above, taken during Sunderland’s loss to Middlesbrough last month that all but sealed the Black Cats’ relegation, and not see in David Moyes’s pained, crinkled face a man wondering where it all went wrong. It was only three seasons ago when Moyes landed his dream job as coach of Manchester United. Four years, two unceremonious sackings, and one relegation later, and Moyes is once again out of a job after resigning as manager of Sunderland today. “When you are the manager of the bottom of the league club, fans’ unhappiness has to be expected,” he shrugged. “But let me tell you it is the first time it has ever happened at a club I’ve been at – I’m used to winning, I’m not used to losing. “I pursued the services of David Moyes for a considerable period prior to his appointment last summer, which makes the announcement of his departure difficult for everyone concerned. The disconnect between what he once said and his decision to quit now is probably that Moyes did not feel he would get the financial backing in the transfer market required in order to meet his ambitions of an immediate promotion back to the EPL, and thus decided to call it quits now. However, judging by the look on his face during losses like the one above, and his curiously defeatist remarks to the media, and the continued erosion of what was once one of the most respected careers in England, it wouldn’t be a surprise if he was just fed up with it all and decided to step away from the game for good. Regardless of the true reason for his resignation, it’s hard to see where Moyes goes from here if he wants to manage again. If there’s one place he shouldn’t go, though, it’s to any local wine bars. It’s three years to the date when news broke that he’d allegedly assaulted a man in a bar not long after losing the United gig.